Author Selah Janel invites you to dance with her IN THE RED! 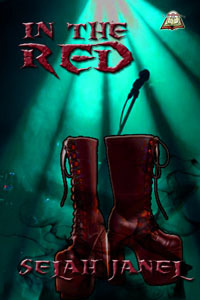 Author Selah Janel has presented a delightful tale IN THE RED. What kind of a rock star lives in a small town in the middle of nowhere and plays at weddings and funerals? Then Jack Scratch comes into his life, ready to represent him and launch him to stardom. Jack can give him everything: a new band, a new name, a new life, a new look, and new boots…although they aren’t exactly new. They once belonged to The One, a rocker so legendary and so mysterious that it’s urban legend that he used black magic to gain success. But what does Jeremiah care about urban legend? And it’s probably just coincidence that the shoes make him dance better than anyone, even if it doesn’t always feel like he’s controlling his movements. It’s no big deal that he plunges into a world of excess and decadence as soon as he puts the shoes on his feet, right? Sam Flegal to be at One Night Gallery on October 11, 2012! “I’m going to be participating in a one night art gallery event, Thursday October 11 from 8-11pm! If you’re in the Nashville area please check out RAW at the Mercy Lounge. Please buy a ticket for the event! Tickets are only $10, make sure to credit Sam Flegal as the artist you’re supporting! Want to see a preview before you head over? No problem! Check out his website athttp://www.samflegal.com/! Sam Flegal has been fascinated by the strange and the macabre from a very young age. Fortunately for his budding morbid creativity, he was raised in a household that encouraged his interest in all things weird—Sam’s father was a magician and his mother a ventriloquist and clown. As an illustrator for both book covers and games, Sam specializes in painting strange scenes of epic fantasy and graphic horror. He describes his art as “stylized realism,” portraying fantastical things in a comic book- like graphic manner, but with an eye towards real life. Sam’s preferred medium is oil paint. Sam also uses his strange imagination to help others realize their dreams of undeath through the power of Zombie Portraits. Like a caricature from a dark carnival, Sam takes the living and brings out their inner dead. H David Blalock’s “Kelly’s Beast” featured in pulp Pro Se Presents #13! Speculative fiction writer H David Blalock was reportedly delighted to be part of the Pulp Fiction project known as Pro Se Presents. Intrigued? Great! 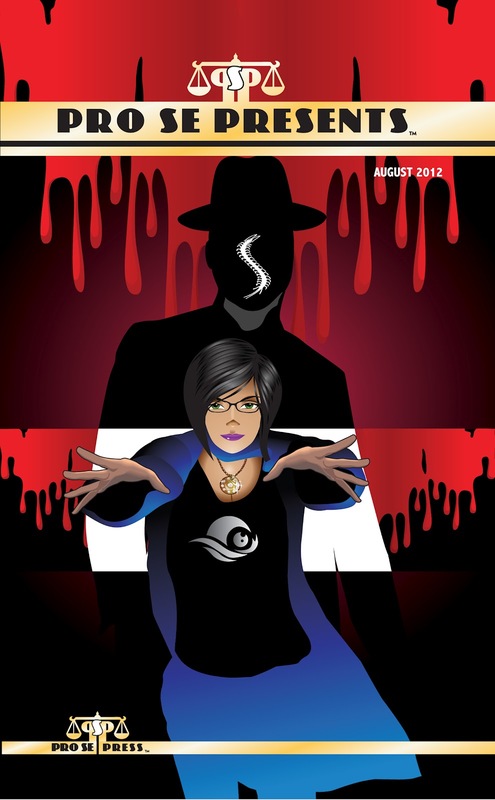 Feel free to pick up a copy of Pro Se #13, and then perhaps go to the Pro Se Press site and order some back issues. 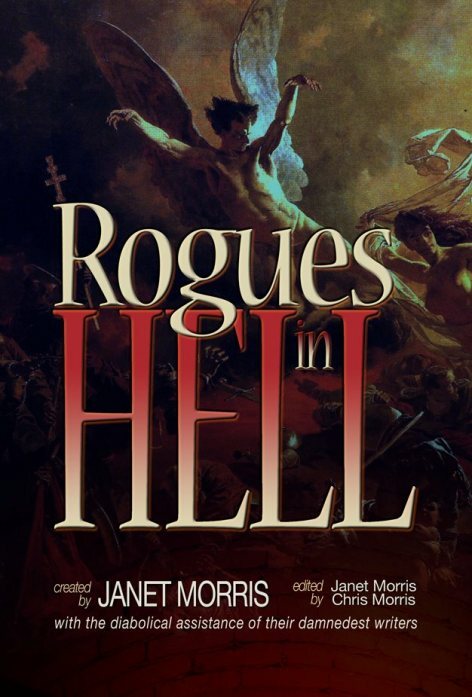 H David Blalock and Allan Gilbreath in Janet Morris’ ROGUES IN HELL anthology! Fans of the IN HELL series have said that the latest release, ROGUES IN HELL, is delightful. Yet what is the premise behind it? Quite simply, the reader follows historical figures surmised to have been sentenced to Hell for their heinous crimes. The stories either follow the faction wars that are happening in Hell, people trying to escape Hell, or other happenings going on. The themes for each anthology is in the title – LAWYERS IN HELL and ROGUES IN HELL being self descriptive. So what did H David Blalock write about? As mentioned, there are different factions in Hell who often war between themselves, not to mention those inside the factions plotting to get out. H David Blalock chose to explore the idea of the two Egyptian magicians who faced off with Moses and their scheme to escape hell – by leaving the Egyptian Hell and breaking into the Chinese Hell to get a Key from the Demon Guard there and using it to get out. Assigned to stop them is a Chinese General, but can he succeed? Sound interesting? If that is not to your liking, there are other stories that are mentioned in several favorable reviews that might be more your taste. “Janet Morris leads her writers back to Hell.